Ava DuVernay has accomplished three times over what many independent filmmakers–both Black and White–find impossible to do just once. 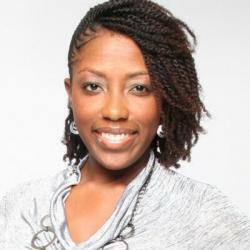 She has independently shot, produced, and distributed three films by using her own money. While she hasn’t produced any blockbuster films (yet! ), DuVernay owns the rights to her movies, has not received help from any major film studio, and believes that in the future, more directors will follow her lead. The landscape for DIY (Do-It-Yourself) filmmaking is littered with failures; but DuVernay attributes her success to the many African-American film festivals held annually throughout the country. Realizing that these festivals were the key to widespread distribution for Black films, DuVernay, who also owns PR Firm The DuVernay Agency, decided to launch the African American Film Festival Releasing Movement (AFFRM). AFFRM is a collaboration of Black film festivals brought together to help independent filmmakers release their projects in select cities across the nation. 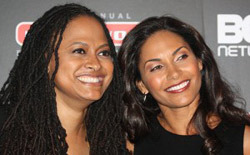 DuVernay announced the creation of the organization at the Sundance film festival last week. So far, the Los Angeles-based filmmaker has recruited five film festivals for the endeavor, and her first feature length movie, I Will Follow, starring Blair Underwood, Salli Richardson-Whitfield, and Omari Hardwick will be the first movie released through AFFRM in March. DuVernay, visited the BLACK ENTERPRISE offices to talk about AFFRM. Watch her describe how she got inspired to start the movement and what she hopes will be accomplished through this alliance of Black film festivals.